Learn how to reduce urine leakage and frequent bathroom visits by strengthening your pelvic floor at this hour-long exercise course for women of all ages. The physical therapist will address urge and stress incontinence, basic pelvic floor anatomy and strategies to reduce leaking and associated pelvic floor issues such as pelvic organ prolapse. 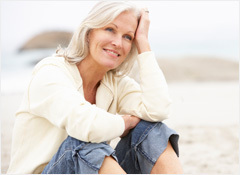 The class also provides a safe environment to discuss incontinence issues. Participants will spend at least 30 minutes performing exercises to strengthen their pelvic floor. While one session is sometimes sufficient, classes can be repeated as necessary. We recommended enrolling for classes in groups of three.